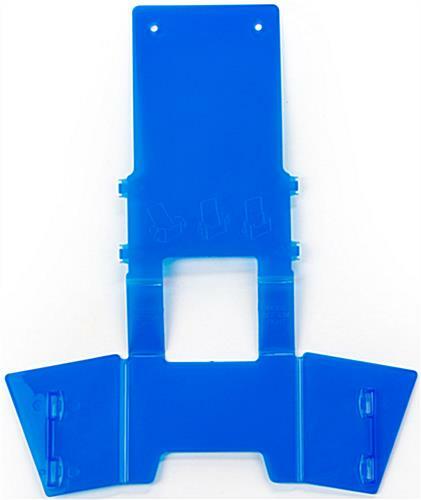 "Slide & Lock" Assembly Helps Units Go Together Fast. 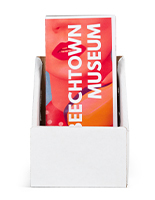 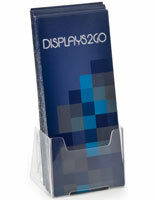 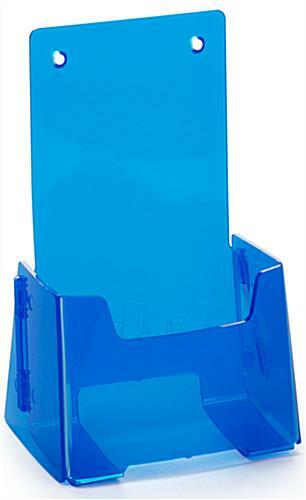 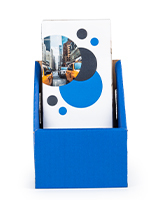 This plastic brochure holder is an interesting blue color that is sure to catch the eye of anyone that walks by. 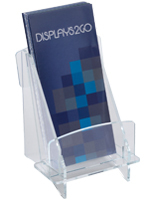 The single pocket display with “Slide & Lock” technology is quick to go together and help to save on costs by allowing the countertop units to ship flat. 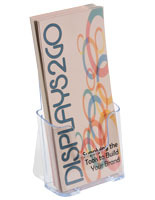 The brochure holder with 4” wide pocket just needs the sides of the fixture to be snapped into place and it is ready to showcase trifold literature. 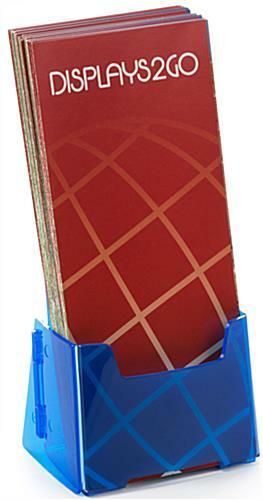 The single pocket is 1.5” deep with a 7” high backer to the ability to keep the many pamphlets stored inside from bowing over. 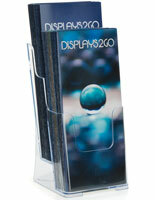 The holder is a compact countertop display and will not take up much room on tabletops. 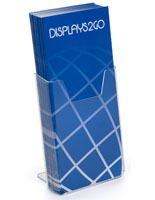 The trifold unit is ideal for companies that want to gain a foothold in a market or for large office building that want to make their service information visible to clients. 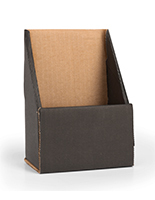 4.0" x 7.0" x 1.5"